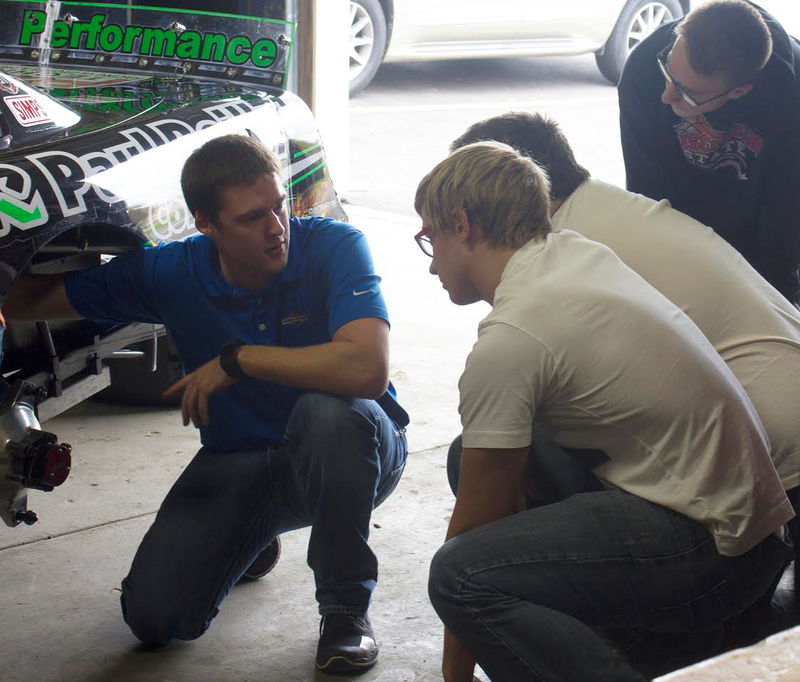 Alex Prunty Racing: Alex Heads Back to Lomira High School as "Professor Prunty!" Alex Heads Back to Lomira High School as "Professor Prunty!" Special thanks goes out to the Lomira High School for having me come in and teach the "Racing Dynamics & Engineering" class for the day! 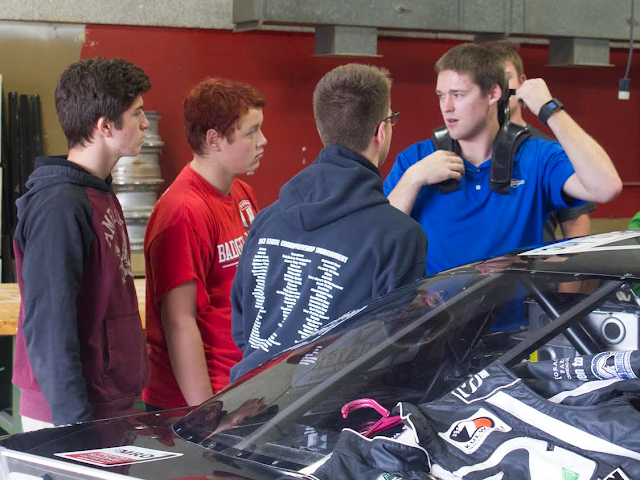 We had the race car on hand in the auto shop, and went through everything from the engine, to shocks, driver safety, gearing, and set-up and handling aspects! It was a lot of fun to go back to the high school 5 years since graduation! Thanks to Dodge County Pionier reporter Zach Cook for the action shots! Alex Wins Alan Kulwicki Driver Development Title! 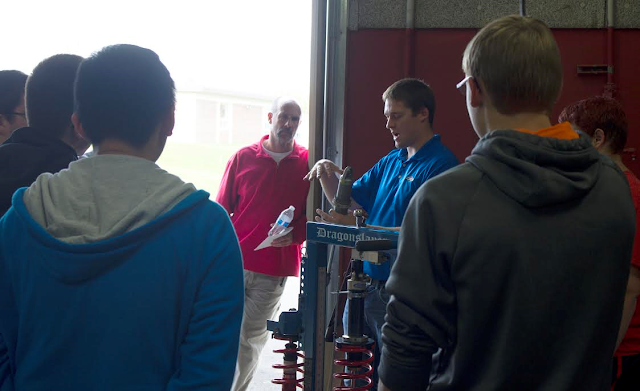 Look for Alex in Today's Dodge County Pionier!